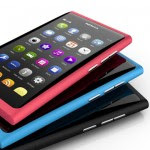 Nokia N9 Meego Harmattan will get new firmware update in next few weeks said Kerttu at Nokia Support Discussion web page. The version of this update is v 40.2012.21-3, brings a lots lots of improvements. Kerttu said that this update will bring 1000 improvements. 1000 improvements including Mail, Facebook, and Twitter, as well as several small network and connectivity improvements. However, This version 40.2012.21-3 already appeared on navifirm, but just only for several regions.